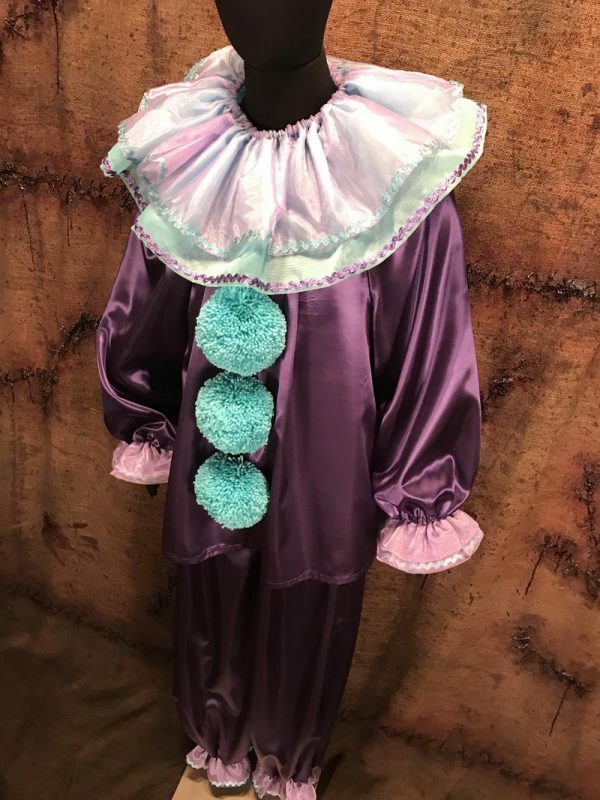 Professionally sewn heavy dark purple satin loose fitting 2 piece trouser and shirt combo with two layers of teal mirror organza neck ruffle. 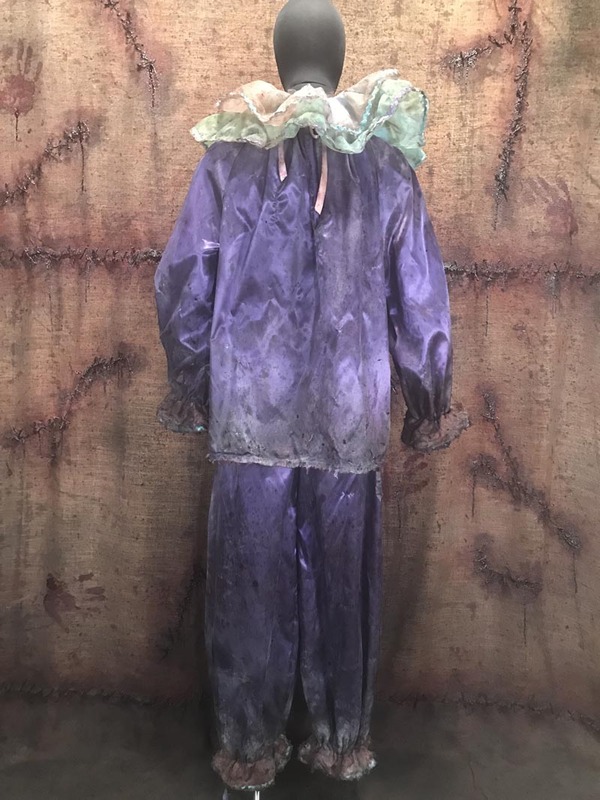 Order it clean or distressed for an extra fee. Say hello to “Purp”! 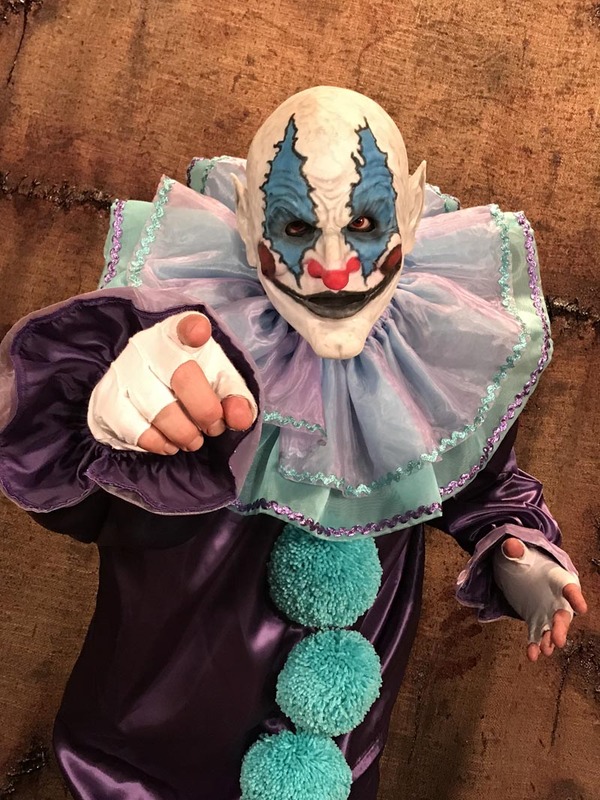 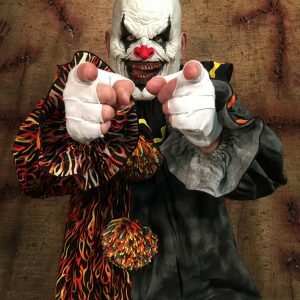 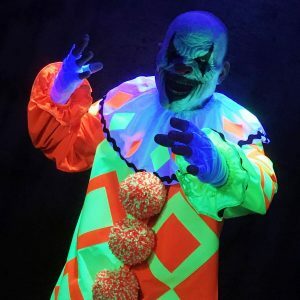 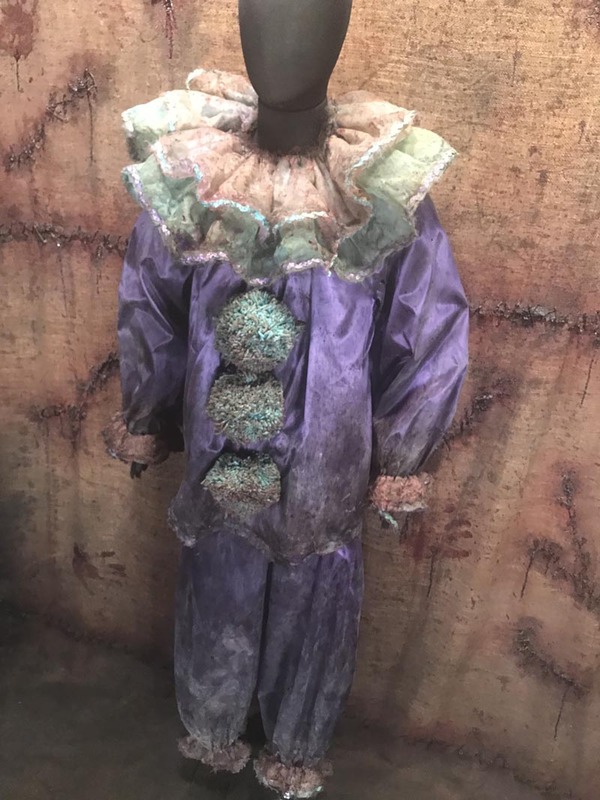 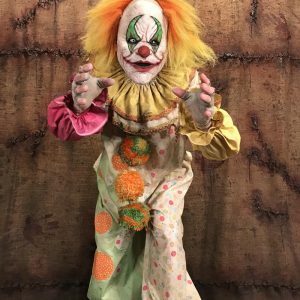 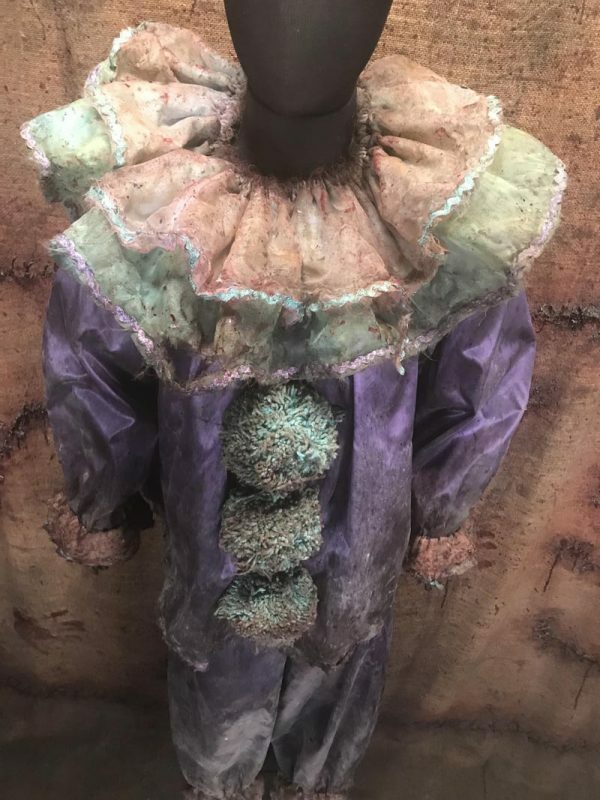 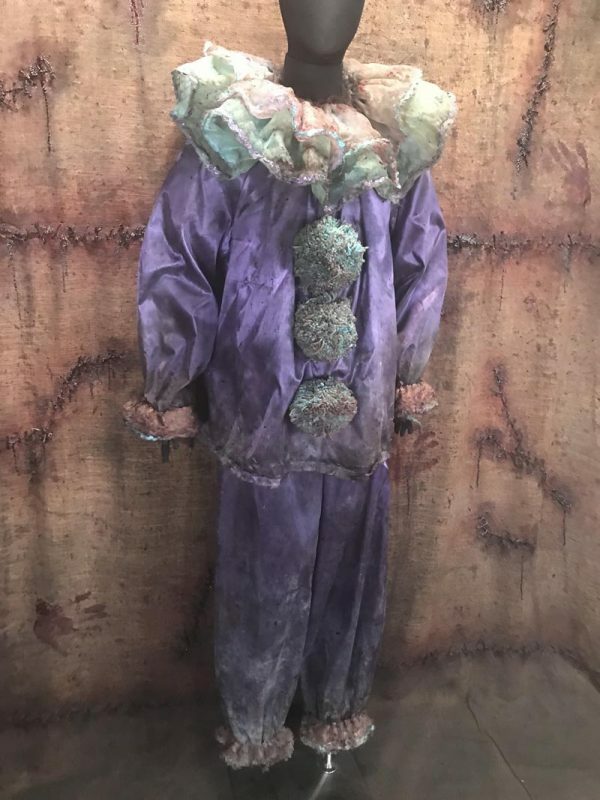 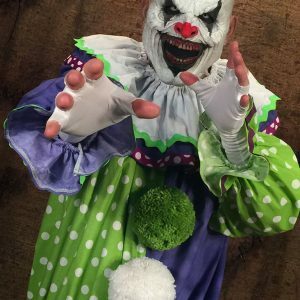 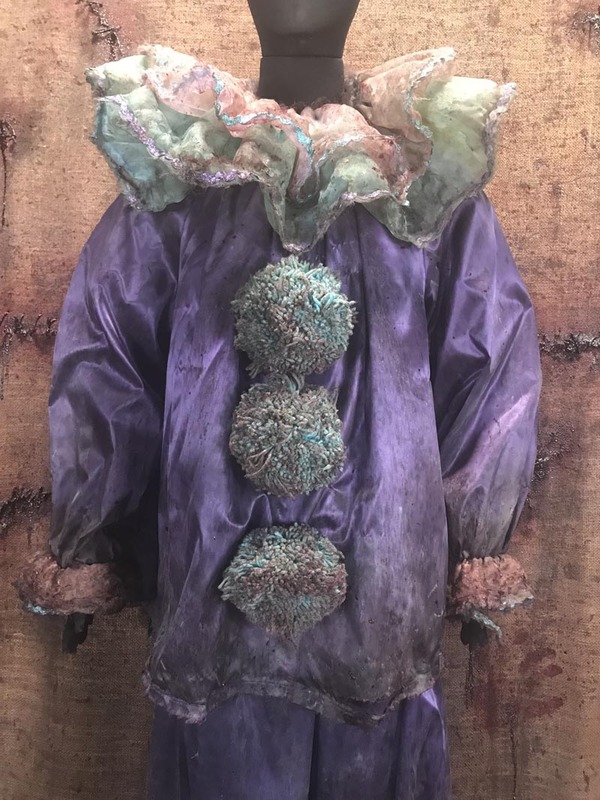 He is one of our newest addition to our new Crazy Clown collection. 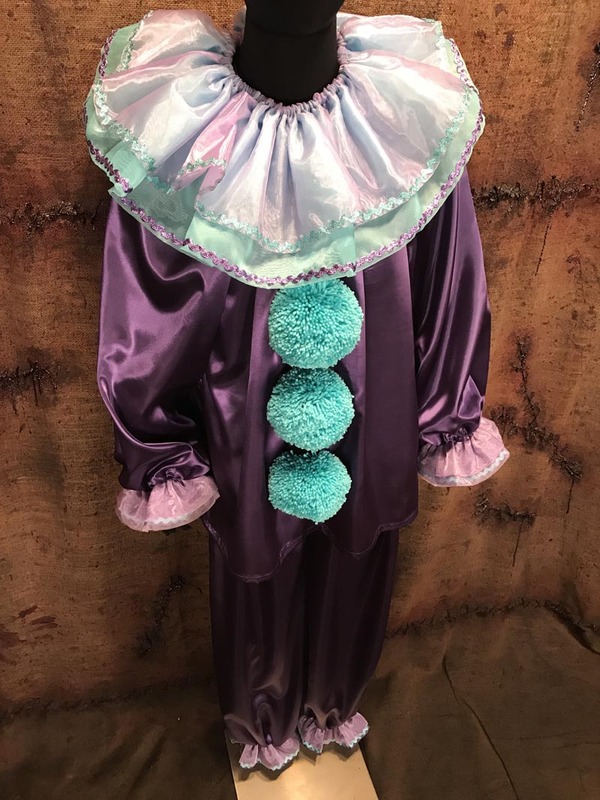 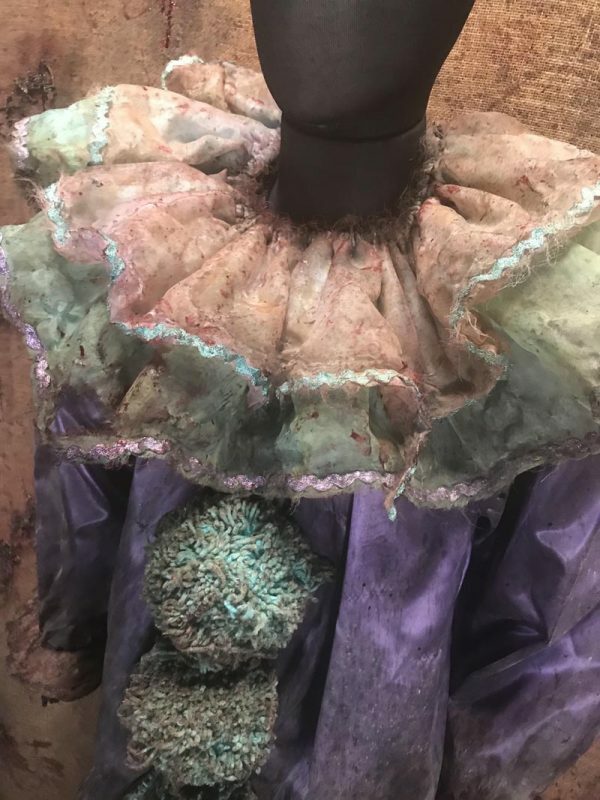 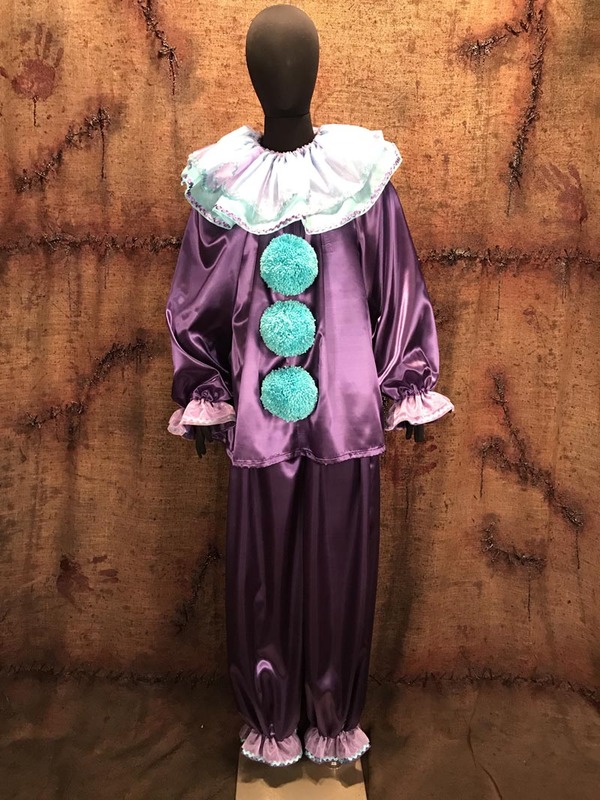 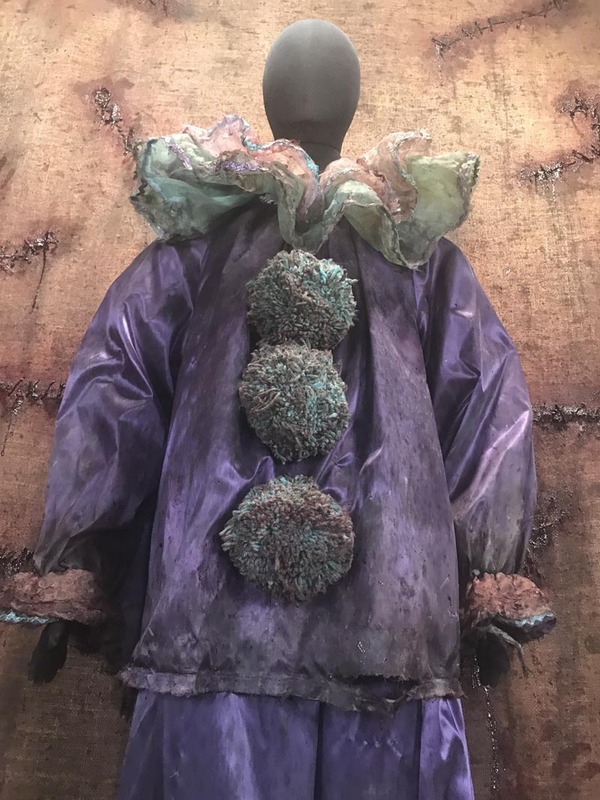 A set of professionally sewn clown costumes. 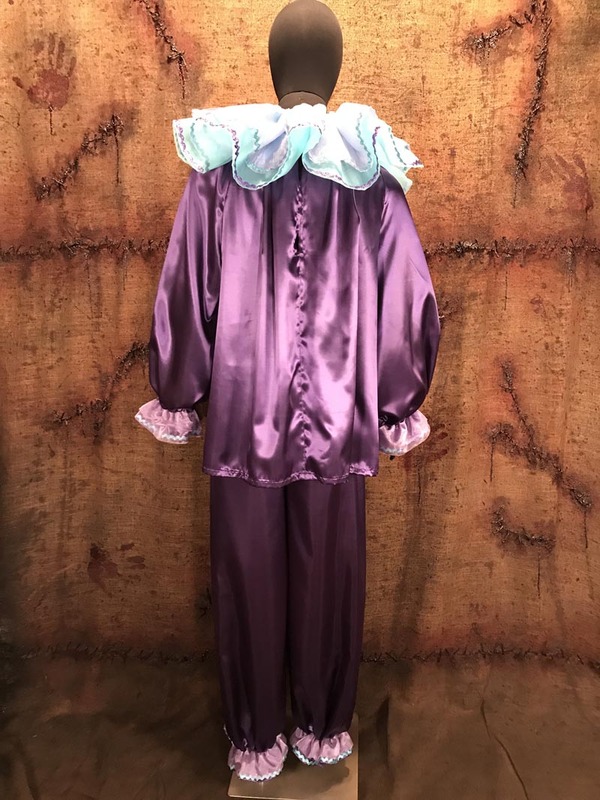 Purp is a dark purple satin loose fitting 2 piece trouser and shirt combo with two layers of teal mirror organza neck ruffle. 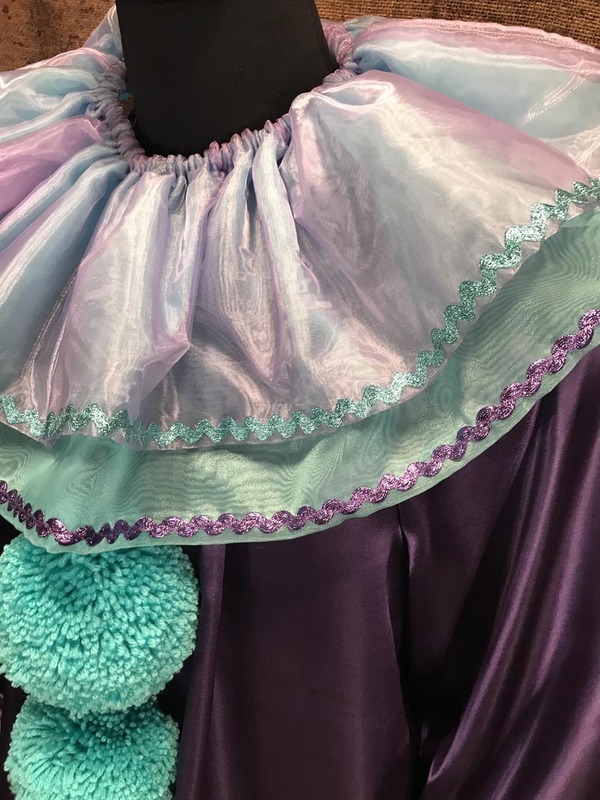 Neck ruffle features a curly edge hem finished with glitter trim. 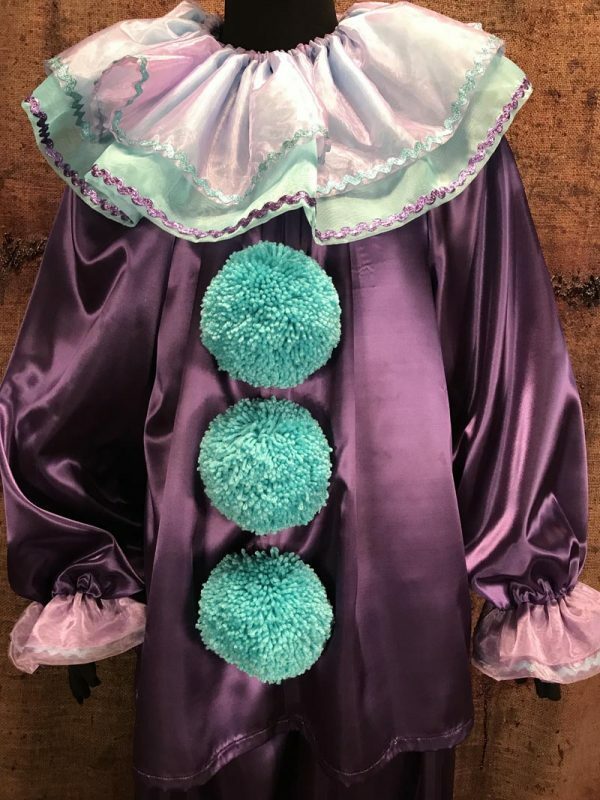 Multi colored Pom poms and teal glitter trim at the wrists and ankles. 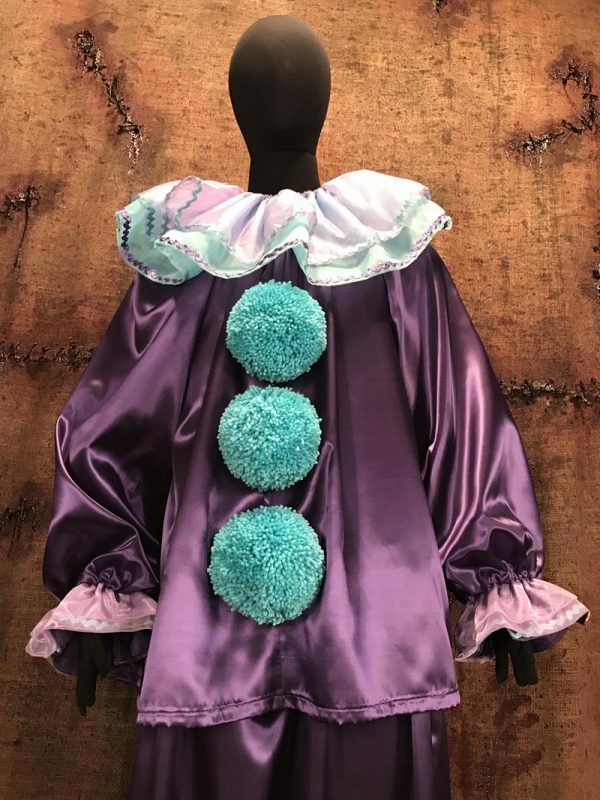 “Purp the Clown” can be ordered clean or distressed for an additional $50 fee.